Ends Tomrrow – Restaurant.com: 80% off Code + 40% Cash Back = $1.20 for $25 certificates! Restaurant.com just came out with a new 80% off promotional code valid through 12/24! Just use coupon code HOLIDAY at checkout which will take 80% off of $25 Gift Certificates and you will pay JUST $2!! *Also, for an even better deal, you can purchase the Dinner of the Month Club. Which is for a 12 month package that comes with 12 $25 gift certificates and one FREE $50 gift certificate! The total for this package would normally be $120, but make sure and use the code HOLIDAY which will drop your total to just $24! You’ll get $350 worth of dining certificates for ONLY $24! One more way to make this deal even SWEETER is to go through Shop At Home and you’ll get 40% cash back from your restaurant.com purchases and $5 for signing up! Which means each $25 certificate will only be $1.20 (after cash back)! GO HERE to sign up and get your 40% cash back and $5 sign up credit. This is a such a great opportunity to stock up on restaurant.com gift certificates for Christmas gifts, Birthday gifts, date night, and more! 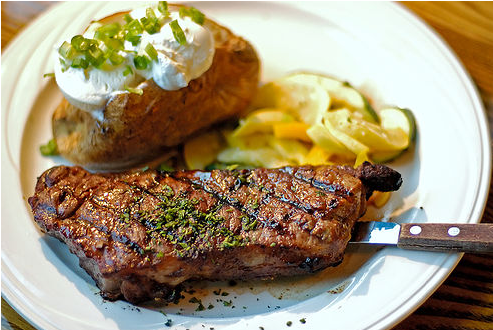 Restaurant.com: 80% off Code + 40% Cash Back = $1.20 for $25 certificates! Restaurant.com: 80% off Code + 30% Cash Back = $1.50 for $25 certificates! Restaurant.com just came out with a new 80% off promotional code valid through 12/20! Just use coupon code PRESENT at checkout which will take 80% off of $25 Gift Certificates and you will pay JUST $2!! *Also, for an even better deal, you can purchase the Dinner of the Month Club. Which is for a 12 month package that comes with 12 $25 gift certificates and one FREE $50 gift certificate! The total for this package would normally be $120, but make sure and use the code PRESENT which will drop your total to just $24! 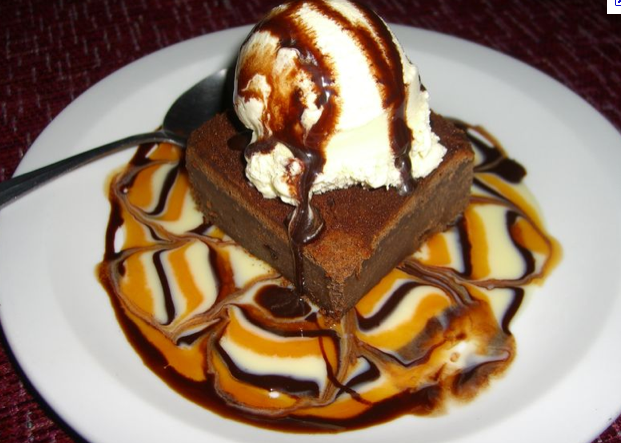 You’ll get $350 worth of dining certificates for ONLY $24! One more way to make this deal even SWEETER is to go through Shop At Home and you’ll get 30% cash back from your restaurant.com purchases and $5 for signing up! Which means each $25 certificate will only be $1.50 (after cash back)! GO HERE to sign up and get your 30% cash back and $5 sign up credit. 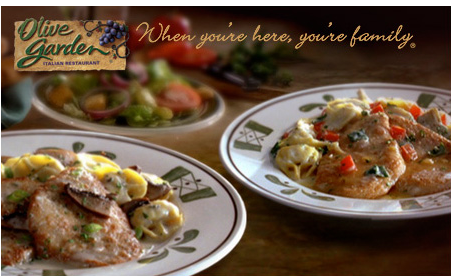 Olive Garden $5/2 Entrees Coupon! Wow! Olive Garden RARELY comes out with coupons so this is great! You can go here to print a $5/2 Olive Garden Entrees coupon! Expires 1/23/11.